Those glistening icicles hanging from your roof may give your home that quaint, wintery look you’ve come to love, but they could also be trying to tell you that something isn’t quite right. Icicles can be a telltale sign that an ice dam has formed on your roof, preventing melting snow from escaping through the eavestroughs — and possibly causing damage to your roof and other components of your home’s construction. 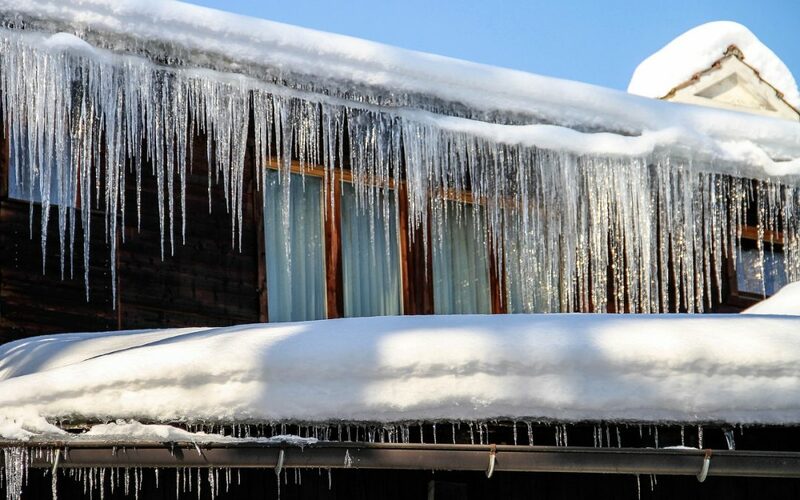 Learn exactly how ice dams form and what you can do to stop them in their tracks. An ice dam is a buildup of ice that traps melting snow on your roof, stopping it from running into your eavestroughs and away from your home. This can cause your roof and ceilings to leak, damage to your home’s interior walls and insulation, mould or mildew, and poor air quality in your home, among other issues. Heat rises into the attic. Poor attic insulation and ventilation allow warm air to escape and heat the roof. Warm shingles melt snow, causing water to flow until it hits a cooler section of the roof, usually toward the overhangs that aren’t in contact with the attic’s warm air. Once the melted snow hits the cold spot, it refreezes and forms a buildup of ice. As more snow melts and freezes in the same spot, the buildup of ice gets bigger and bigger, forming an ice dam that prevents water from running off into your eavestroughs. The dam can cause pooling water to leak through the roof and ceiling. Want to stop ice dams in their tracks and save your home from inconvenient leaks and water damage? Try these preventative measures to keep your roof ice dam free all season long. Insulate and ventilate. Seal any gaps in your attic floor to stop warm air from seeping in, and make sure your attic is adequately insulated — but avoid blocking the air vents. While it might seem strange to add insulation for warmth but allow cold air to come in through the vents, some air flow is needed to remove moisture from the attic and keep the roof cool enough to prevent ice dams. Wire it up. If your roof is prone to ice dams, consider having electric heating cables or heat tape installed on the cold areas where the ice typically starts to form. Professionally installed heating cables can melt a tunnel in the ice to allow trapped water to drain off the roof. While heat cables don’t get to the root of the problem (which is usually poor insulation or ventilation), when installed properly, they can help keep ice buildup at bay. Keep in mind that fastening anything to your roof could cause damage to your shingles, so do your research and weigh the pros and cons before making your decision. Keep the coast clear (but leave the climbing to a professional). When it comes to ice damming, snow is the key ingredient — so keeping your roof clear of excess snow is the first step towards prevention. While your first instinct might be to climb up to the roof to clear away the snow or break up the ice yourself, doing so could result in a nasty fall. Consider hiring a professional to remove the snow from your roof after a heavy snowfall. They’ll use special safety equipment to avoid slipping and sliding on your roof. Reach up with a roof rake. While calling a professional snow removal company is the safest option when it comes to clearing the snow off your roof, sometimes an extendable roof rake can do the trick to prevent a buildup of snow and ice on your overhangs and the lower areas of your roof (with your feet planted firmly on the ground, of course). To stay safe and avoid causing damage to your roof, look for a roof rake with small rollers or bumpers at the bottom of the blade and follow the manufacturer’s instructions carefully. Put your toolbox away. Never use a hammer, pickax, or other sharp tool to chip away at the ice on your roof. This can damage your shingles and allow for more leaks. Raise your shield. If you’re in the market for a new roof, consider asking your professional roofer to install an ice and water shield too. An ice and water shield is a protective barrier that can help keep water out of your home even if it has already made its way through your shingles. 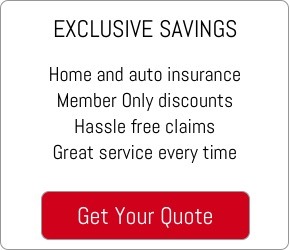 Sometimes ice damming happens despite your best efforts to prevent it — and your home insurance policy could help keep a roof over your head and support you through any necessary repairs if your roof is damaged. If you notice an ice dam has formed on your roof, head up to your attic and check for leaks. If you don’t see any leaks, try taking some of the preventative measures mentioned earlier to stop damage before it happens. If you do find a leak, contact Robertson Hall to talk about what’s next. Want to help your neighbours protect their homes from dammed ice, too? Share these tips on Facebook or Twitter.